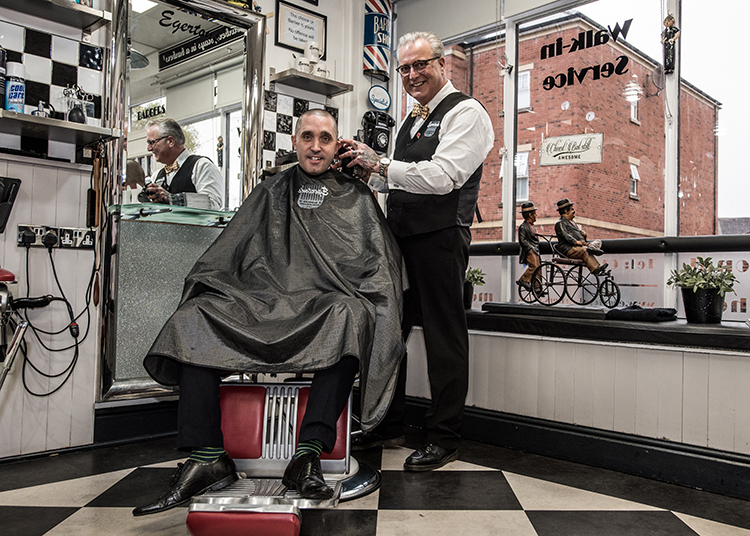 We are so proud to be working with Mark Egerton, owner of Egerton’s Barbers in Shifnal. After establishing the business over 10 years ago, Mark has managed to grow year on year and is now looking to expand into an innovative niche of mobile barbering. We have provided Egerton’s with tax, bookkeeping, payroll, accounts and investment advice as well as ongoing business consultancy support. However, we’re not just run of the mill accountants and our strategic input and business acumen have helped Mark grow from two chairs in his busy shop in Shifnal to four state-registered barbers giving stylish haircuts. Owner Mark is also investing in an iconic silver Airstream trailer to offer modern male grooming at the UK’s trendiest festivals and events. When your business is your passion, especially if it runs in the family, like Mark’s does, you might find yourself needing a bit of objective strategic input. Like all professionals who are not experts at running a business, Mark needed help on getting a balance and ensuring he made a profit at the same time. As a result he could invest in the best team and equipment to give his business an edge and ensure his clients get a special experience that makes their visits memorable and enjoyable. Whilst retailers around the country are struggling to stay open, men’s grooming is enjoying a resurgence on the high street. Egerton’s Barbers, a member of the prestigious British Barbers Association, is based in Victoria Road in Shifnal and is an authentic, traditional barber shop with a modern edge, offering professional, friendly barbering in a modern setting. With walk-in appointments available 60 hours a week, men and boys can stay looking good with traditional and modern cuts.